Home › Home and Kitchen › Hygloss 15430 Self-Adhesive Library Card Pockets 3.5-Inch By 5-Inch 40 Pages ..
Hygloss 15430 Self-Adhesive Library Card Pockets 3.5-Inch By 5-Inch 40 Pages .. Pockets are made of durable text stock paper and is acid free, fade resistant and accepts all mediums. Manila Library Pockets couldn't possibly get any better than they already are.Or could they? Introducing the Manila wall pockets with pressure sensitivebacking. That's right, all the wonderful uses that were available with thestandard version of our colorful book and wall pockets have been multiplied,simplified and exemplified. Place these self-adhesive pockets into bookseffortlessly, onto walls easily and all around without a second thought as tohow they are going to stay put. Pressure sensitive backing is a strip ofadhesive that is permanently attached to the back of each pocket. A protectivelayer of paper covers the sticky adhesive until you are ready for use. Simplypeel off the paper and stick to nearly any surface or material. Createinteractive job charts, exciting daily activities, using self-adhesivepockets. Manila wall pockets are perfect for creating suspenseful games likesecret admirer and storing raffle tickets. 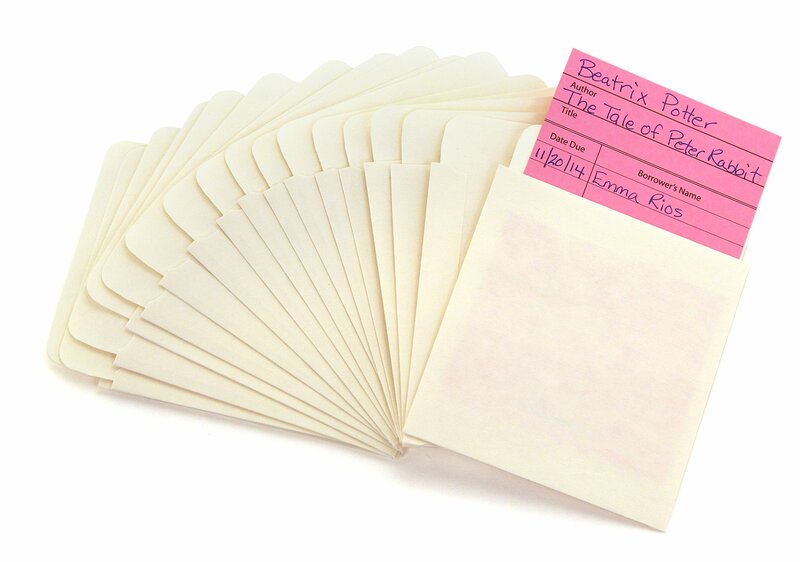 Use Manila library pockets in allyour library books to keep track of where books are going and where they havebeen. You can even keep a paper and pen in these colorful adhesive pockets anduse as a sign up sheet for various activities. Adhesive pockets are made ofdurable text stock paper and is acid free, fade resistant and accepts allmediums. Uses abound for these ever-helpful book, wall and library pockets, sostock up today!.